Approximately 75 per cent of motorists purchase two or less bags of goods, and so could carry their goods by foot or bicycle. Most shopping trips involve distances that could be walked or cycled. Cyclists don’t take up car parks. In fact you could fit 10 bikes/shoppers in the space of one car. They don’t obscure your shop. 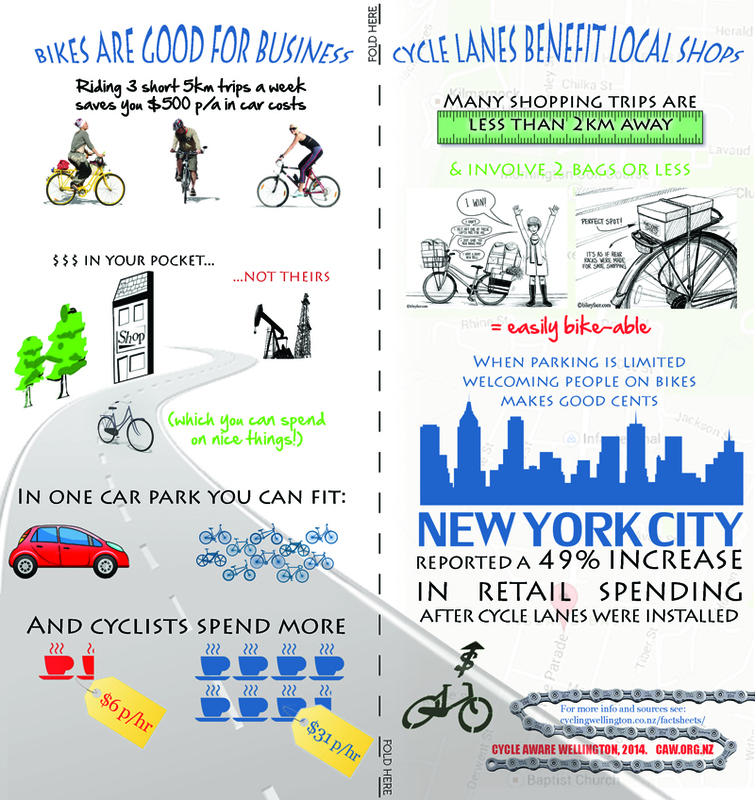 Retail areas with cycle lanes have reported up to 49% increase in sales (NY). each square metre allocated to bike parking generates $31 per hour, compared to $6 generated for each square metre used for a car parking space, with food/drink and clothing retailers benefiting the most from bike riders. Most car trips are under 2km – a distance easily cycled, even by the less fit of us.